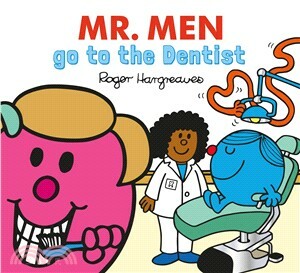 Everyone has to go to the dentist - even the Mr Men and Little Miss! Mrs Bright looks after all their teeth, but some of her patients are easier than others. Mr Fussy has very, very clean teeth, but Little Miss Naughty likes to play cheeky tricks. Going to the dentist has never been more fun than with the silly antics and sunny smiles of the Mr Men! The Mr. Men and Little Miss Every Day series takes Roger Hargreaves beloved characters on trips and activities that children will recognise from their own lives. All the stories have a ‘Where’s Walter’ feature with Walter the worm hiding in every story making for a fun and interactive reading experience for children aged two years and up.